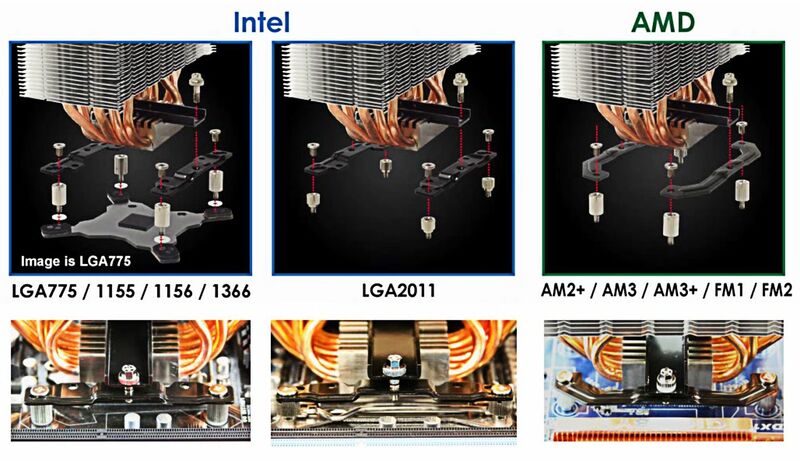 World class performance, wide compatibility with tall RAM modules and a new easy-to-fit secure mounting system makes the Ashura the perfect must have CPU cooler for a huge range of systems. 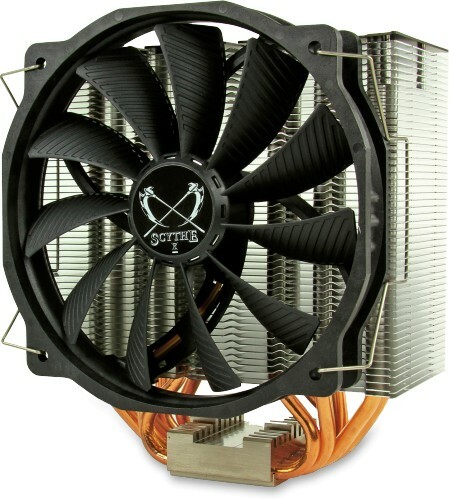 Scythe engineers took a totally new direction when designing the brand-new Ashura CPU cooler. 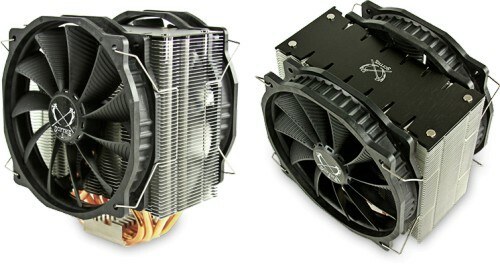 Their main objective: Compact dimensions without sacrificing cooling efficiency. The Ashura is the result and it mixes both form and functionality in equal measure with a touch of elegance. When developing the Ashura, it was decided that it should be possible to add a second fan, so the required spare pair of fan clips is therefore part of the accessory list. With a second fan, cooling performance can be further enhanced by applying the push & pull principle. The additional Scythe GlideStream 140mm PWM fan can be purchased separately. The supplied Scythe GlideStream 140 series fan combines the proven "small hub and wide blade" design concept with neat, new ideas such as Grooved fan blades contributing to even less air resistance as well as mounting holes fitted with rubber inlays to minimise unpleasant vibration noise. Another unique characteristic is the 120 mm mounting hole position. Due to its narrow deep fin structure design, the Ashura is ideal for PCs with memory modules fitted with large heatsinks. This means that the cooler is set back on the processor socket leaving a wider gap between the cooler and the first memory module. Another new feature that can be seen is the Ashura's new mounting system. Building on Scythe's experience of CPU cooler mounting systems, the Ashura mounting was designed with the keywords "simplicity" and "reliability" in mind. The installation procedure has been simplified and improved. 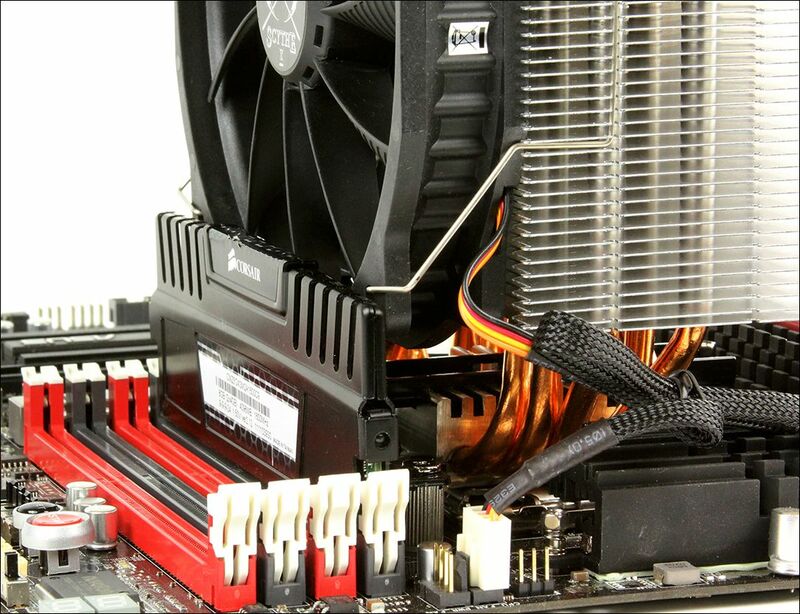 The new mounting system ensures that the cooler is securely and firmly attached to the motherboard making it prefect for standard users and system builders alike.